As a result of the 2009 H1N1 swine flu scare, millions of people around the world received the H1N1 vaccine, but what these millions of individuals may not have known was that this vaccine comes with numerous risks. Some might say that protection from the scary swine flu is worth any risk, but is it worth paralysis? What many people may not know is that the H1N1 vaccine side effectsare quite concerning (similar to any vaccine), with the vaccine being tied to increased risk for nerve-paralyzing disease Guillain-Barre Syndrome. Researchers also spoke on a large immunization campaign in against the swine flu in Quebec during 2009, where 57% of Quebec’s 7.8 million residents received the H1N1 vaccine. 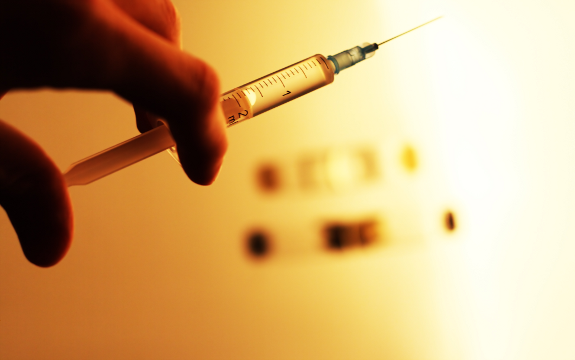 After examining data from all neurology clinics and acute care hospitals that may have had individuals with Guillain-Barre Syndrome, data from summary discharge databases of provincial hospitals, and examining the immunization status of reported cases, researchers concluded that there was “a small but significant risk of GBS following influenza A(H1N1) vaccination”. Noting that Guillain-Barre Syndrome is extremely rare on its own, they attributed 2 GBS cases for every 1 million H1N1 vaccine doses. In 2009, a staggering 50 percent of doctors refused the H1N1 flu vaccine due to the strong connection with adverse health concerns. Even though 50 percent of the doctors were not receiving the shot, many of them would still recommend the shot to their patients – again, despite the H1N1 vaccine side effects. In 2010, government health chiefs confirmed a link between the H1N1-containing seasonal flu vaccination and the killer nerve disease known as Guillain-Barre Syndrome, although the link wasn’t actually new. But the information regarding H1N1 vaccine side effects and GBS didn’t stop health officials from pushing the H1N1 vaccine onto the population in 2010 and 2011. As we know, the connection between Guillain-Barre Snydrome and flu vaccines has been alive since the 1970′s. “The vaccines used to combat an expected swine influenza pandemic in 1976 were shown to be associated with GBS and were withdrawn from use,” Prof. Elizabeth Miller, head of the HPA’s immunization department, wrote. The ultimate punishment happened to a friend of mine after a swine flue injection. A famous radio talk host here he travels a lot and booked himself to have the injection against my advise. In fact I tried almost physically to prevent him from going. He tells me that he does not believe that governments would allow endangering the public. Oh boy, was he wrong, in fact he is lucky to be alive, but only because he is a man in the prime of his life and incredibly strong, they told him. Exactly 2 weeks after the vaccines incubation period he had suffered 8 consecutive strokes and landed up in `ICU for a week. How accurate I was with my prognosis, this obviously changed his thinking altogether about conspiracies. We tried exposing it on the radio but were blocked as it is not opportune to expose really important things these days. Wow, can we trust mainstream media, I think not !! ”WAKE UP AMERICA THE MEDICAL FIELD IS THE KILLING FILEDS NOW!!!!!!!!!!! I KNOW ”THEY” HAVE TRIED TO KILL ME O NUMEROUS HOSPITAL STAYS!!!!!!! I CAN GO INTO GET DETAIL IN REGARD TO THE ABOVE STATEMENT AND WOULD TAKE IT TO THE GRAND JURY IF POSSIABLE? ?